Today's Olympic event is Battling Broomsticks. Again, the same rules apply, use SBS images to interpret this however you want. Whether it is racing or fencing or anything else you can image! 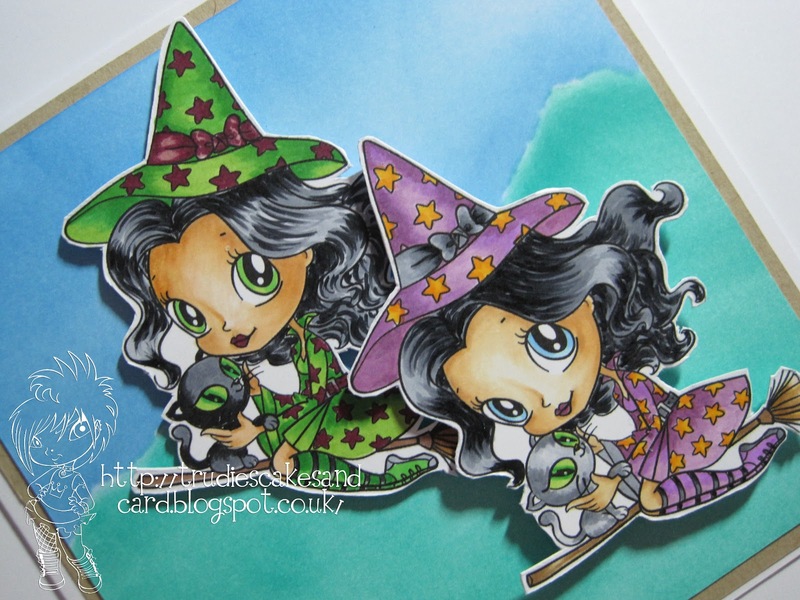 I have printed Witchy Boo Betty out twice, coloured, cut and layered them at different heights, giving the illusion of one being closer to you than the other. Good old Pinflair glue!! I love the stuff!!! The background is made using pan pastels and a piece of ripped paper to make a stencil. Very simple but I do like how it has come out. 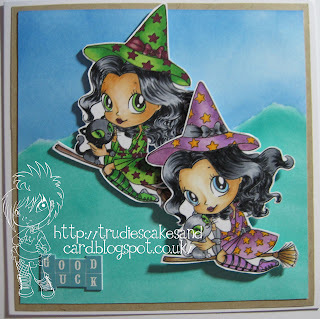 Don't forget full rules and more fabulous DT work can be found over on the challenge blog.